Our review: Nearly colorless with straw highlights, this wine is lightly fragrant with aromas of tropical fruits. The fruit flavors on the palate are accompanied by a gentle minerality. The finish is fairly long but unremarkable. 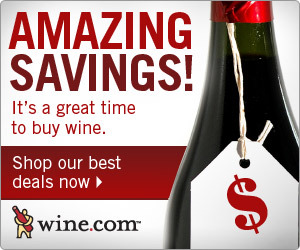 Our rating: This is a very nice example of this varietal and at an attractive price point. Think light dishes when pairing this wine: chilled appetizers, a crisp salad, cold chicken sandwich, and the like. It's a nice change of pace from the more typical ABC wines, and we rate it Above Average. Taste profile from the winemaker: "Intensely aromatic and refreshing, entices you with delightful floral and orange peel notes. Pale yellow hue shows soft glimmers of green. On the palate, the crisp orange, grapefruit and tropical fruit flavors are accented with jasmine and beautifully balanced with acidity." 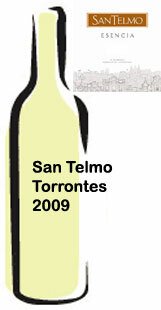 Winery website: San Telmo Wines (a unit of Diageo Wines).